Don't you hate it when people blog about blogging? Me too. However, sometimes on rare occasion, it must be done, and this is one of those times. So my dear friends, please grab a cup of coffee, pull up a chair, kick off your shoes, and stay awhile... First and foremost, thank you for being here. Whether this is your first time visiting (hello!) or you're a regular reader, thank you for taking time out of your busy day to visit this blog. I know there are millions (billions?) of blogs out there, and I truly appreciate the fact that you have chosen to read mine. So, here's the deal. My blog is having a bit of a mid-life crisis. To those of you who filled out my survey, thank you! The response I got was overwhelming and eye-opening, to say the very least. In fact, so many of you left kind comments in the last section that you MADE ME CRY. Like, real tears streaming down my face. Those comments were totally unexpected, and I honestly cannot thank you enough for taking the time to write them. My blog has hit a fork in the road, and the purpose of that survey was to help me decide which way to turn. To be completely honest, I started having second thoughts about this blog while I was pregnant. I knew my blog was changing, because I was changing, and I didn't really know how I felt about it. I wasn't sure if I wanted to continue blogging, if I wanted to continue to share my life with strangers and expose my life as a new mother. As much as I love writing and sharing some of that writing here, I started having doubts about whether or not some of those thoughts should remain private. I also started feeling guilty (hello motherhood!) about the amount of time I was spending on this blog. The guilt increased even moreso when my regular freelance gig ended unexpectedly in June. I started questioning whether or not I should be spending this much time blogging, when I could be spending more of that time making money through photography or another freelance project. Which brings me to the fork in the road. After a lot of thought and consideration and prayer, and lengthy conversations with Brett, I came to the conclusion that I needed to do one of two things: 1) Stop blogging altogether and invest my time/energy elsewhere, or 2) Start taking this blog seriously. If anyone believes I already do take my blog seriously, it pains me to tell you that you're sadly mistaken. I check my google analytics once a quarter, and really just giggle at the keywords that have brought people to my blog. I don't know anything about SEO, or how to increase traffic, or how to solicit advertising. I don't know any of those things because I've never bothered to learn. Truthfully, I never took my blog seriously because I was never comfortable with the label blogger. I wanted to be Ashlee, that girl who has a blog, not Ashlee the blogger. I always thought that if I wanted to be taken seriously as a writer, or even as an aspiring writer, the label of blogger would ruin that for me. And then I read this and started to reconsider. Maybe, just maybe, it's okay for me to be a blogger. Heck, maybe I'm not meant to be published in any other way. Maybe instead of constantly questioning my ability to write, and questioning whether or not God has a concrete plan for my writing, I should just....write. And maybe the best place for that writing is here, on this very blog. Maybe, just maybe, it's my calling to be a blogger. Maybe it's my calling to create a public online space full of thoughts and feelings that other people can relate to. Maybe, just maybe, it's my calling to share my life with strangers, to tell people they are not alone. As I started reconsidering my feelings about being a real blogger, I read Joanna's post on Blogging as a Career, and to say I was inspired is a complete understatement. It honestly boggles my mind that people can turn their blogs into a career. I've had people ask me in the past if this is something I would ever consider doing and I have always said no before they even finished the question. I had nothing against bloggers who were doing it, I just never thought it was for me. The thought of blogging as a career, or even a part-time career, terrified me. I feared people would see me as a sell-out, or that I would have to blog a certain amount of times each week to maintain the traffic I had promised advertisers. I feared that blogging wouldn't be fun anymore, or that my blog would become too popular and I would get lots of mean comments from people who like to do that sort of thing. Most of all, I feared that if I started taking my blog seriously, it would change, and not in a good way. I feared that my writing would become more superficial and less authentic, more forced and less inspired. Basically, I was feeling very confused and torn about the fork in the road. I felt like half of me was ready to take the leap and finally turn this blog, this place I've grown to love, into something that would not only help support my family financially, but would also become something that I could be proud of. The other half of me was just plain scared. The truth is---I love this blog. I love feeling connected to people that I've never met. I love the e-mails that you guys send me. I love the accountability that exists here....the accountability to write well and take beautiful pictures and most importantly, the accountability to do what I say. Without this blog, I fear that I might lose my creativity or drive, because truth be told, you bring it out in me. In the midst of assessing the good and bad, the fears and excitement, I created a quick survey for you. You, my kind readers, many of whom have been reading this blog for years. I wanted your take on things. I wanted to find out, anonymously, how you felt about this blog, and whether or not you cared if I took it to the next level. And, well, a whopping 83% of you said a few ads wouldn't bother you. The vast majority of you said, more or less, that you really wouldn't mind if I started taking this blog a little more seriously. A few people even left comments at the end encouraging me to do so. That being said, you, dear readers, gave me the little push I needed to pick a path once and for all. After weighing the pros and cons and discussing them with Brett, I have decided to (attempt to) take this blog to the next level. In fact, you can even call me a blogger if you want to. 1. Advertising - I am going to start exploring the idea of adding a few advertisements to my sidebar. I will probably start with ten slots, and see how it goes. The advertising will be simple and clean; you won't see flashing banners all over this site, ever. I won't be doing sponsored posts, but I might start doing one giveaway a month. If you are interested in advertising on this blog, please shoot me an e-mail (ashlee.gadd @ gmail.com). I would love to chat with you! 2. Comments - I am going to be much, much better at responding to comments. I promise. A few of you left notes in the survey about this and it broke my heart to know that some of you don't leave comments because you don't think I even read them. This could not be further from the truth and from this point on, I am going to make responding to comments a priority. I have read every comment ever posted on this blog, and I appreciate them all. I also just want to throw this out there: I LOVE E-MAILS. If you have a question or a comment, or just want to say hi or ask me what kind of stroller I registered for, you can always e-mail me at ashlee.gadd @ gmail.com. If comments are more your thing, I added a "notify me of follow-up comments via e-mail" box that you can check if you want to receive an e-mail after I or someone else responds to your comment. 3. Facebook - Can I just say how much I love that 46 people marked "Facebook is the devil" on this issue? Joking aside, I probably should have included more background info in this question. Currently, I post my blog links to my personal Facebook page, which I'm sure, annoys a lot of people who don't read my blog. I like to keep my Facebook network pretty small, so anytime I get a friend request from someone I don't know, I almost always ignore it. And sometimes, I realize later that the friend request came from a blog reader, and then I feel terrible. So the purpose of a WMHR page would be two-fold; 1) to stop annoying people I know in real life (who don't read my blog) from seeing my links in their newsfeed every day, and 2) to allow me to connect and engage with readers on Facebook without having to extend my personal network. A lot of you said yes to this question, but more of you said no, although even if you said no, it probably wouldn't really affect you either way. Basically, I'm on the fence about this. I might do it in the future, but for now, I'll continue posting links on my personal page since I know a lot of you access my blog that way. 4. Frequency - 75% of you said you don't care how often I post, as long as the content is good. 25% of you want me to post more often. 0% of you wish I posted less often (hooray!). I plan to keep my current pace of 2-3 posts a week, although I might start posting more "mini-posts" like a few photos and a quick thought or quote. I tend to like those types of posts on other blogs, and I think it's refreshing to see lighter posts in between the longer ones. 5. Design - A few of you commented in the survey that you like the current design, which is so flattering and a little bit awkward because Brett and I spent, like, NO time creating it. Let me be clear: neither Brett nor I have any graphic design skills whatsoever. I wish we did, but we don't. The design of this blog will probably stay exactly the same, give or take a few minor tweaks here and there (I still need to make a blogroll and I might attempt a new banner). I have always been a proponent of strong content/light design over strong design/light content. 6. Content - To the three people who left notes in the survey asking me to chill out with the mommy posts, thank you. I know the mommy posts have been overkill. If I'm being honest, it's probably safe to say that I've gotten a bit lazy with this blog. It's easy to write about motherhood because it's currently consuming my life. My entire days revolve around keeping Everett fed, happy, and alive. We live in a bubble right now---a bubble where I wear the same pair of yoga pants four days in a row and put on makeup twice a week. That's just the way it is. And while only three of you had the guts to say it, I'm sure more of you feel the same way. You told me that you missed how I used to blog, and you know what? I miss it too. 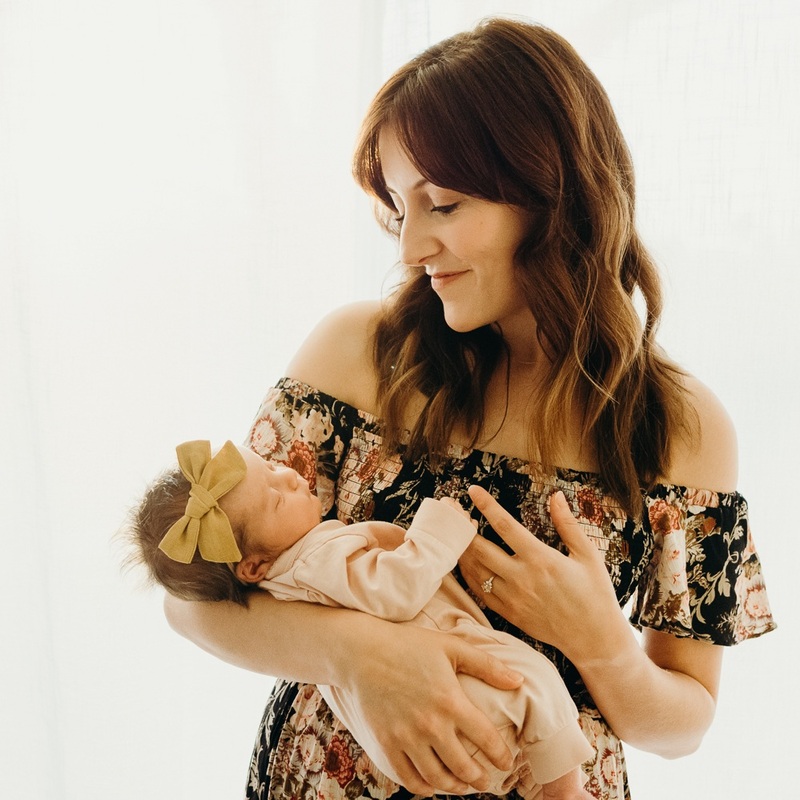 While motherhood has been, and will continue to be, a big part of this blog and my writing, it will not be the only topic discussed here. I'm currently trying to find a balance, both in my real life and this blog, where being a mother is not the only thing I talk about. It's a work in progress. I'm only three months in, and I appreciate you cutting me some slack. Thank you for being patient, and for putting up with the posts that might not be relevant to you. To the 30+ people who left comments in the survey about how much they LOVE the mommy posts, thank you for reading and for supporting me in my new role as Everett's momma. Okay....is anyone still reading this? If you are, thank you again for being here. If I could give you a hug and bake you a cupcake, I would. I am excited and nervous at the prospect of taking this blog to the next level, and I couldn't be doing it without you. Thank you for supporting me, for leaving comments, for sending me e-mails, for telling your friends about this blog, and for showing me kindness and grace as I pour my heart and soul into this virtual space. I am so, so grateful.